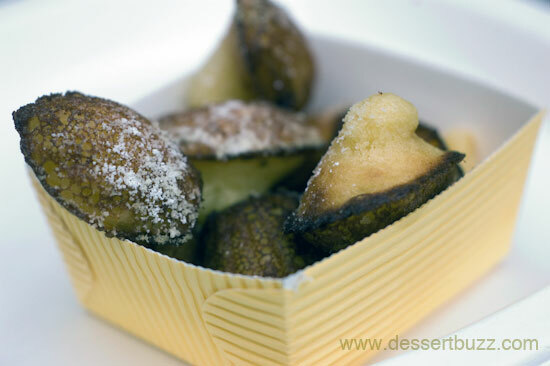 Dessertbuzz | Dominique Ansel Bakery Update: New Frenchy French items added! Dominique Ansel Bakery Update: New Frenchy French items added! **Update** Dominique Ansel Bakery has just added a ton of new pastries and other items. 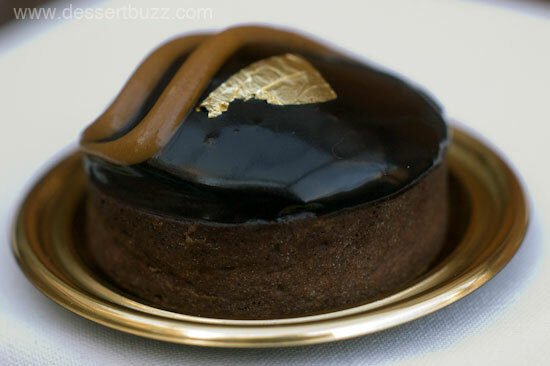 Two of my favorites are the liquid chocolate caramel tart and the salted pistachio religieuse. The liquid chocolate caramel tart is the perfect size pastry. It’s super small but very complex for a pastry from a case (ie. not made to order). The outside of the tart reminds me of one of my favorite Ansel desserts from when he was at Daniel–the warm guanaja chocolate coulant. 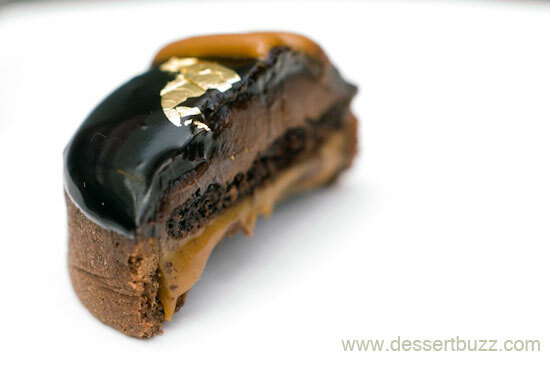 Inside the tart shell is a layer of chocolate ganache above a soft caramel core. These layers sit atop a rectangle of chocolate cake soaked in expresso (to enhance the chocolate flavor). All the layers, including the slightly crisp and salty shell, go together really nicely–this may be my new favorite chocolate offering from DAB–even ahead of the Mini-me! 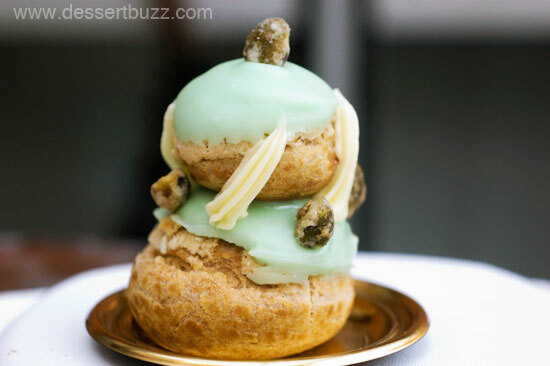 The salted pistachio religieuse is the kind of showy pastry one expects to find in Paris. It’s not often you see them in New York, if at all. Thankfully, Mr. Ansel and his team are determined to bring as many of the less-common-in-the-US, French pastries as possible to his New York shop. 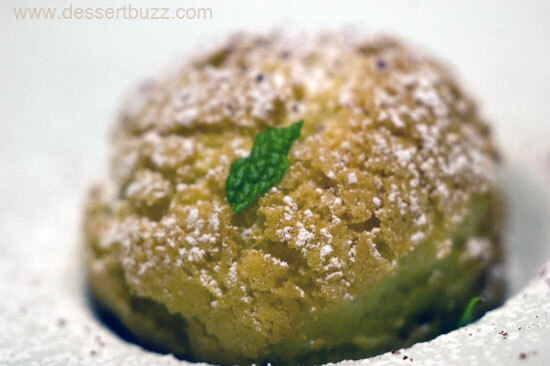 Shortly after opening, he garnered some serious buzz (and fans) by offering his take on the kouing aman. Now he’s introducing us to the religieuse. Luckily, it’s as tasty as it is beautiful. The labor-intensive religieuse has two different fillings inside the puff pastry: the top contains whipped white chocolate pistachio ganache and the bottom, a pistachio mousseline. 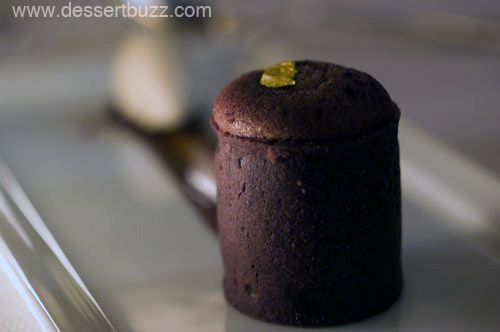 The mousseline, while more custardy than the whipped ganache, is not sweet at all which makes for a great contrast. The puff pastry is very flaky and fresh tasting. Given the amount of work that went into this little creation, $5.00 seems like a steal. 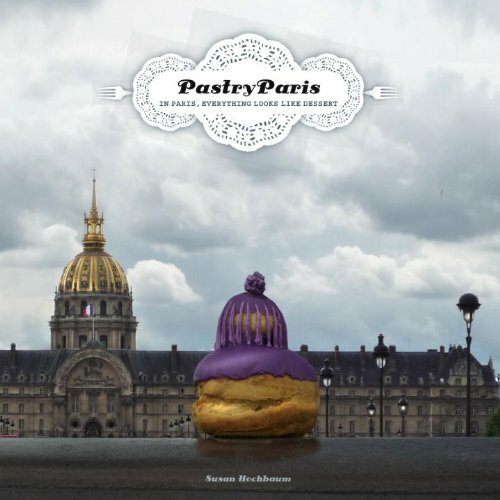 The religieuse on the cover of Susan Hochbaum's "PastryParis"
Here are two other religieuse pastries, one on the cover of Susan Hochbaum’s PastryParis and the other from Le Bernardin–the latter was a made-to-order plated dessert. More updates on DAB coming soon! Dominique Ansel Bakery is located on 189 Spring Street (Sullivan). Their website is here.